This project is my live/work building that was proposed to be located in Pomona CA. My building is connected to 4 other buildings which belonged to my classmates, those buildings are represented by the white mass adjacent to my building. 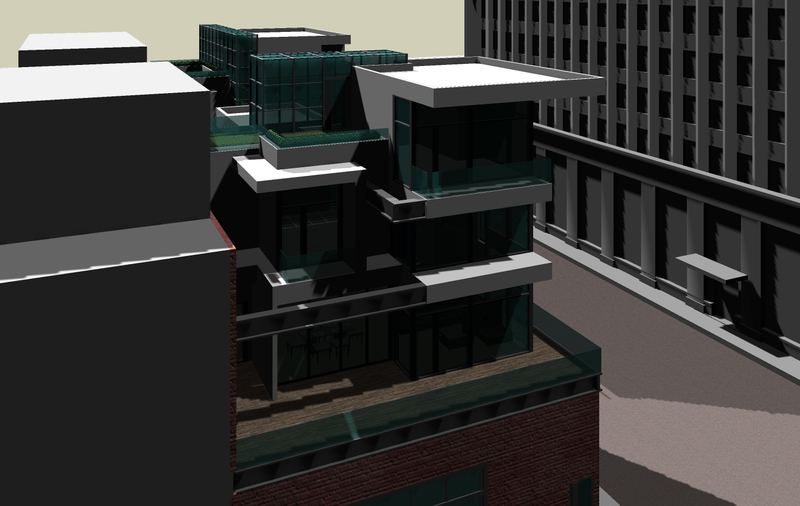 This is a rendering of the rear side of my building, showing the back of house #2.